Richard was born in Otwell, Indiana, on April 25, 1938, to Philip and Meta (Eck) Sendelweck. He married Rita Wiseman on December 18, 1956, in St. John's Lutheran Church in Boone Township. 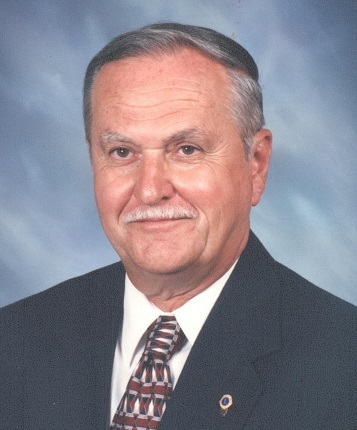 He was a member of St. John's Lutheran Church in Boone Township, where he served on the church council and ran the cemetery trust fund for over 25 years, Ireland Sportsman Club and was a member of the Ireland Lions Club for over 50 years, where he also served as past president and treasurer. A funeral service for Richard L. Sendelweck will be held at 11:00 a.m. on Monday, September 17, 2018, at St. John's Lutheran Church in Boone Township, with burial to follow in the church cemetery. Memorial contributions may be made to St. John's Lutheran Church, St. Jude's Children's Research Hospital or to a favorite charity.